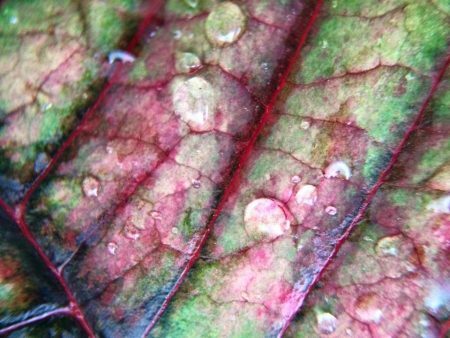 Macro shot of a poinsettia leaf after a rain. I’m trying to do some exercises to spark creativity. One of them is to take a picture every day. And I’m trying to do it, at least some days, with my macro lens for my iPhone. The cool thing about doing this is that looking through the camera forces you to see things in a different way. To really look at them. This is a poinsettia leaf–one of the two tone ones. It’s on my deck and it rained last night and I thought it would be a cool picture. And I like it. My husband thinks it looks like a medical slide, LOL, which shows how people see thing differently. He sees pathology, I see a quilt! I think I’ll send this to Instagram tagged as a quilt ideas–sort of my virtual sketchbook. Anything that gets me thinking about a quilt is a good thing. What things do you do to get inspired?